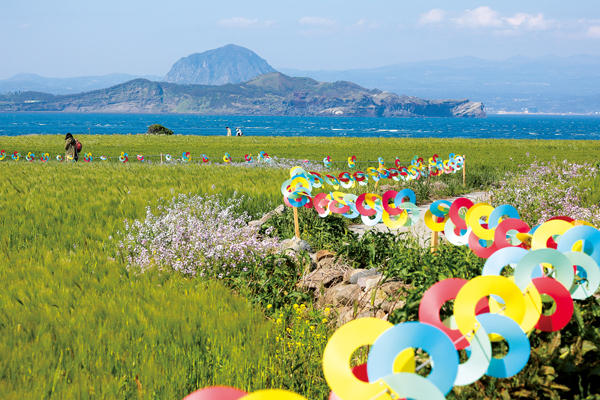 By mid-April, the green barley decorates Gapado, a small islet in southwest Jeju. Boatloads of visitors come to enjoy the gentle wind and fly kites in the blue skies. There is also a treasure hunt along Olle 10-1, a barley field marathon, couple bicycle events, plenty of traditional food, conch-catching, sea snail-hatching as well as concerts and festival stalls.